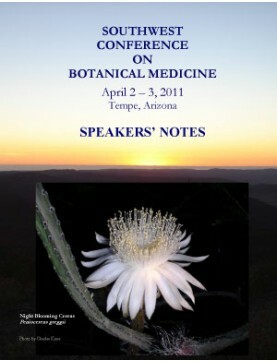 Annual conference at the Southwest College of Naturopathic Medicine in Tempe, Arizona. Topics include chronic vulvovaginitis, pediatric EENT, dysglycemia, berberine-containing plants, viral infections, asteraceae, treatment of ADHD, tick borne diseases and more. Full Set of Southwest Conference on Botanical Medicine MP3 recordings includes these titles (e..
Speaker: Charles Kane. Viral Infections (HSV & VZV)..
Panel: Clinical Session with Mary Bove, Paul Bergner and Roy Upton..
Speaker: Christopher Hobbs. Berberine-Containing Plants..
Speaker: Charles Kane. Herbs for Select Skin Conditions..
Speaker: Deborah Frances. The Art of Formulating..